Sitting back on your couch and enjoying your favorite videos can definitely be one of the best things on a lazy afternoon. But what, if you are able to play a video, there is no sound on YouTube video? There can be nothing more irritable than seeing your video without hear anything. 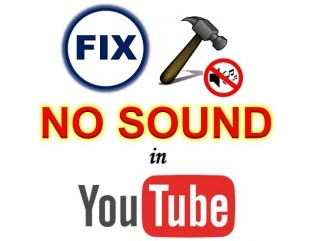 Don't panic, to help you in such situations, we have picked up the most common reasons for no sound on YouTube video and their possible solutions. Reason 1: The Sound on Your PC is Turned Off. Solution: Though it may sound kiddish, one of the simplest reasons for no sound on YouTube Video is forgetting to turn ON the PC sound. Many a time, we turn off the audio device on the computer and then next time, forget to turn it on. In such situations, if we play a YouTube video, there will be no sound. Solution: Many videos in YouTube have copyright restriction which means that you will not have complete access to these videos, till you pay for them. Thus for these ones, you will have no sound on YouTube video, and they can only be heard once they are purchased. Reason 3: Sound Setting on YouTube. Solution: Many times, the sound settings on PC are checked, but the settings on YouTube is ignored which leads to no sound on YouTube video. So just check that YouTube video is not mute (“X” sign will appear beside the volume slider if Mute is activated). So click the “X” sign to un-mute the video and enjoy. Reason 4: Sound Card Problem. Solution: If the sound card of your PC is crashed or not working properly, then there will be an issue of no sound on YouTube video too. Open online videos on other site beside YouTube, and check if you are able to hear the sound. If there is no sound on other sites as well, then most probably your Sound card is the culprit. This is mainly the hardware failure which you need to get repaired. 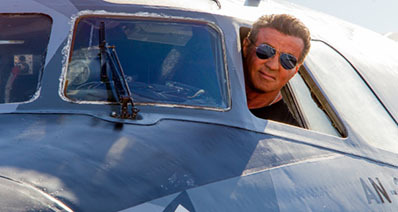 Reason 5: The Problem with Adobe Flash Player. Solution: Another reason when there is no sound on YouTube video is the problem with your Adobe Flash Player. YouTube and many other sites make use of Adobe Flash Player in order to play their videos, and any problem with their plug-in may also lead to no audio. If the sound has disappeared after updating to the new version, then move back to the previous version of Adobe Flash Player. Another possible reason may be incompatibility of the old Adobe version and in situations if you are using the older version, you need to update Adobe Flash player to the latest version. Reason 6: The Problem with Web Browser. Solution: Web browser may also be a reason for no sound on YouTube video. If you are using a particular browser, say Chrome and not getting audio, you can troubleshoot by playing video on another browser like IE, Firefox, or Safari. If the sound problem exists in some particular browser, then reinstall the browser or update it. Reason 7: YouTube in Code Update Phase. Solution: If there is a notification mentioning that YouTube is in the code update phase, then also you may encounter the problem of no sound on YouTube video. In such case, you need to wait for the official update to complete. Solution: Many a time, poor Internet connection and network may cause nonfluency and lead to no sound on YouTube video. In such situation, you can locally download the videos and play them. Reason 9: Audio and Video Separation Technology of YouTube. Solution: The recent YouTube updates make use of the audio and video separation technology and this may lead to no sound on YouTube video, as videos and audios are not synchronised. To overcome this problem, locally download videos on your PC and enjoy them. In order to ensure that there is no interference with the YouTube settings, clear all your Cookies, temporary Internet files and history. 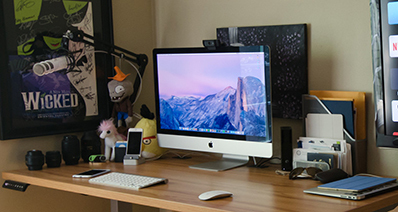 If multimedia content like music, video player, or a messenger is opened on your PC, close them. Remove any video accelerator or YouTube downloader if in use. Above listed are some of the possible reasons that may lead to no sound on YouTube video. Besides these, there may be many others that you are not able to figure out. Trying to resolve these possible issues one by one, is not only an irritating task but also a time consuming one. Moreover, it is not sure that this long, trial and error process will resolve your sound issues. There is another quick and simple solution for resolving sound problem and that is downloading YouTube videos to your PC. Step 1 Open YouTube on your browser and search for the desired video that you want to download. Copy the video link. Step 2 Launch iTube HD Video Downloader software on your PC. Click the Paste URL button at the upper left corner, and you'll see a pop-up dialog. Choose the video quality you need and click the Download button at bottom to start downloading. 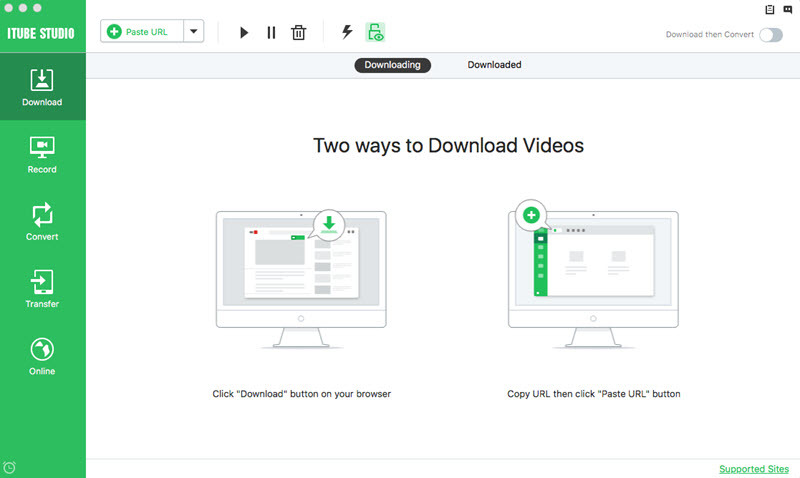 When the downloading process finishes, you'll get the downloaded videos in Downloaded library. Toubleshooting step by step with possible solutions is one of the options, but if you are looking for a sure shot way to resolve problem of no sound on YouTube videos, using iTube HD Video Downloader to download videos will be the perfect choice.